Your GrabCAD profile is your opportunity to tell the CAD world what you're all about! It's the place to go to browse through all of your content (models, tutorials, group memberships, badges and account statistics). It's also a place where you can showcase your work and educational experience, and direct our members to your social media accounts and personal websites. But how do you make changes and add information to your profile? Let's take a look. Every page on GrabCAD has the same navigation panel across the top of the page. 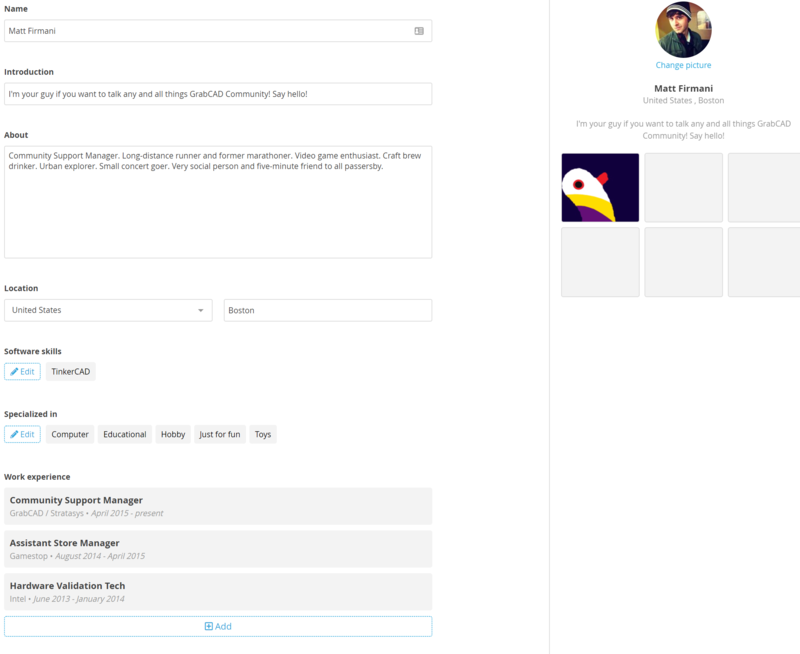 Using this panel, you can navigate to your profile by clicking your profile picture in the top-right corner. This will bring you to your public profile page. This is what our other members see when they click on your name on a model page, tutorial, question, comment or group discussion thread. To make changes, just click the "Edit Profile" button, located beneath your name. 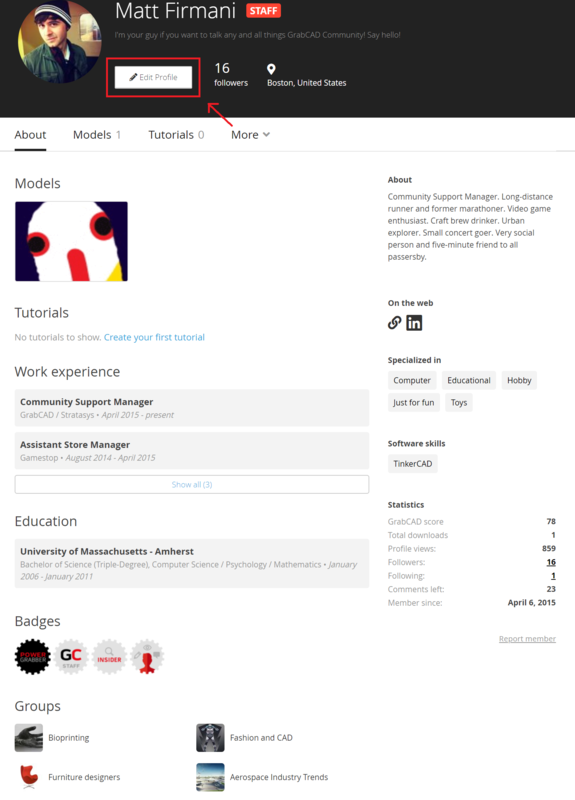 From here, you can change your displayed name and profile picture, add a personal introduction, tell the Community a bit about yourself, provide information about your specialties, software skills, work experience and education background, and provide links to your social media accounts and personal websites. When finished, click "Save" in the top-right corner.